Here at Acxess Spring we manufacture precision gun parts such as gun springs, magazine springs, trigger springs, recoil springs, and more. Any spring that is part of your gun application can be manufactured by Acxess Spring, including custom gun springs. 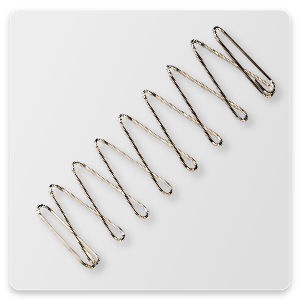 We manufacture gun springs from 0.006 Wire Diameter to 0.080 Wire Diameter, which makes Acxess Spring a one stop shop for all your gun spring needs. Each gun spring manufactured by Acxess Spring is made in house and special tooling is constructed for each job. Acxess Spring makes all its own tooling in house to keep our customer costs down and lead times faster. We can manufacture custom gun springs for you, and we offer same day quotes and full analysis of your gun spring design before you order. We will minimize out of pocket expenses and eliminate all the unnecessary stress and fatigue being placed on your gun spring, which may be causing it to fail. If you are looking for quality, dependability, awesome customer service, great pricing, and top rated engineers Acxess Spring is where you need to buy your gun springs.